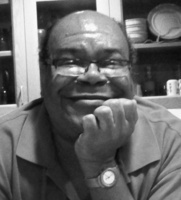 *Manie Barron, an editor and literary agent who worked on and advocated for African-American books through much of a 23-year publishing career, has died at 55. “It is with deep sorrow that the family and friends of Manie Barron announce his death from a hemorrhage the morning of Saturday, January 8, 2011, at Memorial Sloan-Kettering Cancer Center, where he was being treated for lung cancer,” read a statement in the New York Times. A native of New York’s Harlem section who studied acting and accounting at City College of New York, Barron (full name Emanuel Joseph Barron) held numerous positions in the industry, from sales at the since-closed Doubleday bookstore to the phone sales team at Random House, where he moved into editing. Barron later was an agent at William Morris, then at the Menza Barron Agency, which he co-founded with Claudia Menza. Authors he worked with included vampire novelist L.A. Banks and fiction writer Guy Johnson, the son of Maya Angelou.